Starting in April 2018, RailRunner will expand its transport offer between Braunschweig and Bratislava (SK) / Curtici (RU) with a stock of initially 100 craneable megatrailers. 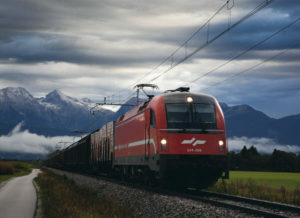 This should give logistics companies the opportunity to easily and quickly test the strengths of rail and road in combined transport and use them permanently without having to make their own investment or longer-term rental. The investment in the largest regional fuel distribution center in western Romania reaches 18 million EUR. 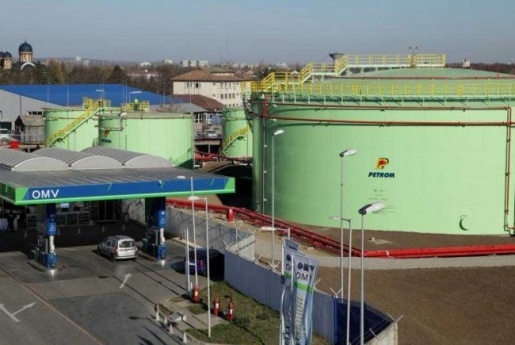 Mayor Gheorghe Falcă said at a news conference on Tuesday that construction of the OMV-Petrom fuel storage site in Grădişte began in early January. It is the largest regional fuel distribution center in western Romania - in fact, it is one of the largest investments at the level of Arad municipality. 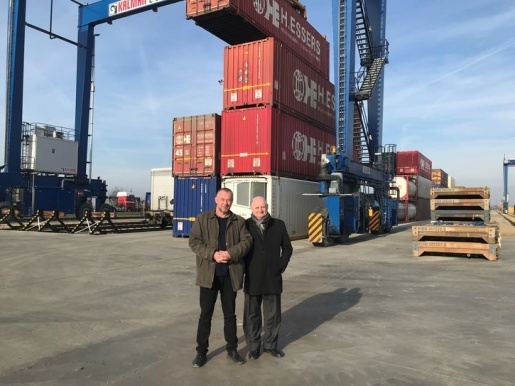 On the 27th of January, the Ambassador of the Kingdom of Belgium to Bucharest, Thomas Baekelandt visited Curtici Cargo Center. His Excellency was interested to see how Belgian companies are active in the Western part of Romania. Since the company H.Essers is an important partner of Railport Arad in handling of intermodal units and of Trade Trans Terminal in warehousing and cross-docking, we were proud to present to His Excellency our facilities, and to point out the good and long-lasting ccoperation with H.Essers. 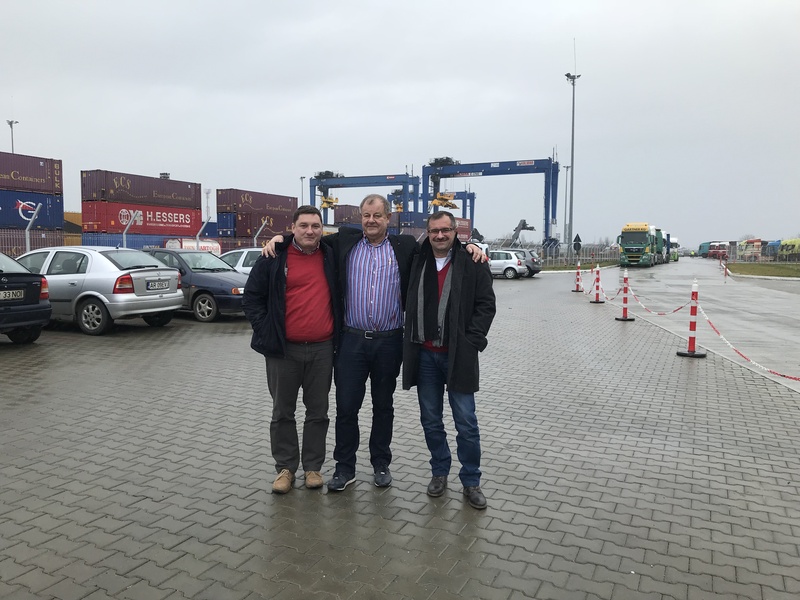 Mr. Imre Kovacs, general director of Rail Cargo Hungary, has honored us with his visit in our terminal in Curtici in order to discuss further future cooperation possibilities and potential common developments. Hungary’s Ministry of National Development has announced that Amber rail freight corridor has been established as the member states involved signed the agreement founding the supervisory body for the corridor. The new corridor’s highest level body will be headed by Hungary in future.